Can the whales ever catch a break? They’re already dealing with industrial chemicals, food shortages, and dangerous ships. Then, there’s the plastic that inevitably makes its way into their stomachs. 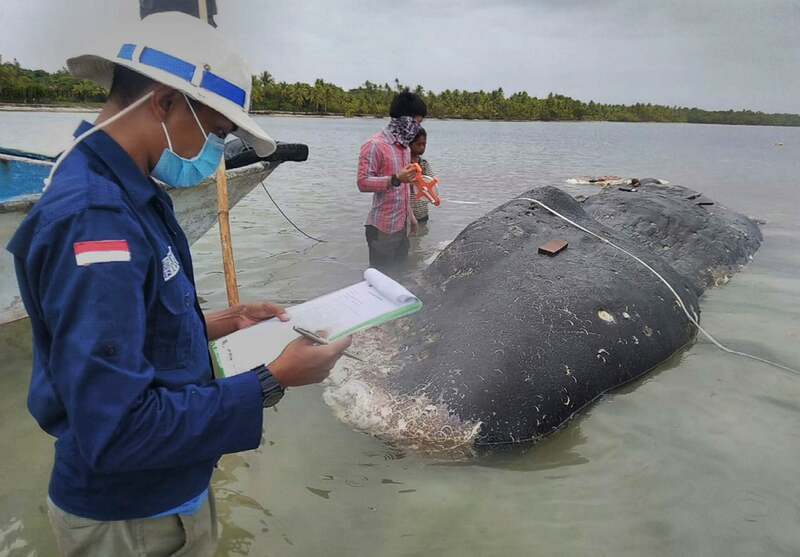 On Monday, a dead whale floated ashore in eastern Indonesia with its stomach full of plastic junk, including 115 plastic cups and two pairs of flip-flops. World Wildlife Fund researchers found roughly 13 pounds of plastic in the 31-foot long sperm whale, reports the Associated Press. The whale landed near the Wakatobi National Park known for coral reefs and marine wildlife. Unfortunately, visitors and locals were in for a sight when this big guy washed up. Community members had begun to butcher the carcass when rescuers found it, according to the AP. The team still has not determined a cause of death and may not be able to due to the whale’s level of decay, but the plastic waste found in its belly—reportedly more than 1,000 pieces all told—was cause for concern. A plastic bag and a nylon sack were among the rubbish. A pilot whale died under similar circumstances earlier this year in Thailand. Black plastic bags crowded its stomach, which marine biologists speculated had caused the animal to starve to death. 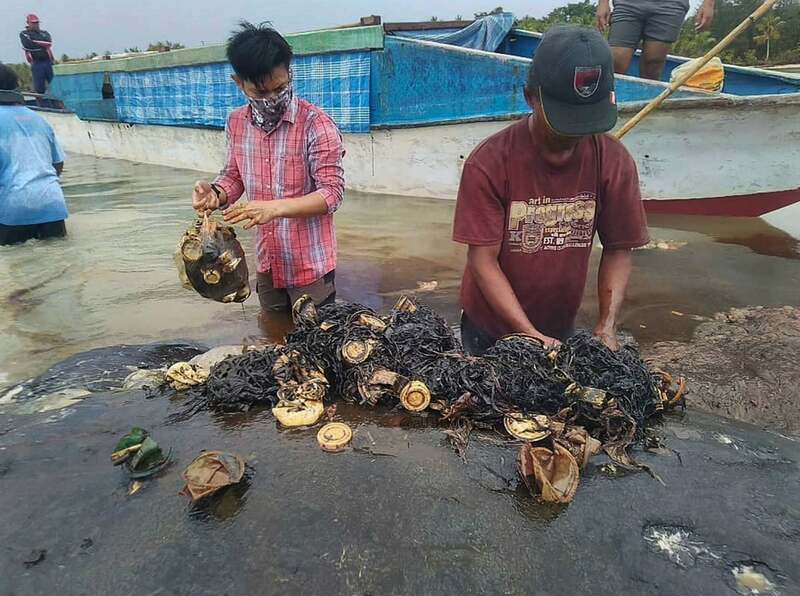 The waters along Southeast Asia suffer from an inordinate amount of plastic pollution as the world’s top plastic polluters are concentrated in this area: China, Indonesia, the Philippines, and Vietnam. Between 55 to 60 per cent of the plastics that enter our oceans come from this rapidly developing region, according to a 2017 report from Ocean Conservancy. Sadly, whales and other marine life are paying the price.